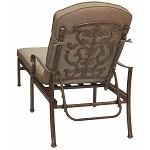 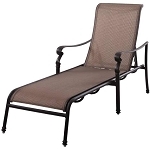 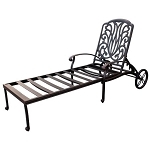 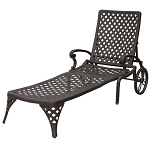 Chaise lounge, literally means "long chair" in French, was created in the 1500s in Europe. 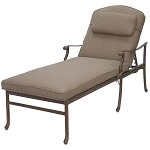 Usually a chaise lounge's backrest is adjustable so that it can be used as a chair with an ottoman or footrest sitting upright, or level horizontally to use as a bed. 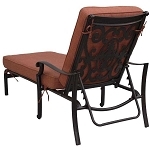 A reclining chair with an ottoman can also be used as a chaise lounge. 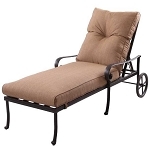 Double chaise lounge are twice the width of a normal chaise lounge and when the backrest is level, it offers a large area like a bed for comfortably lying down for two people.